On Tuesday, February 3, 1976, the Western State was broken into three states, namely Oyo, Ondo and Ogun. 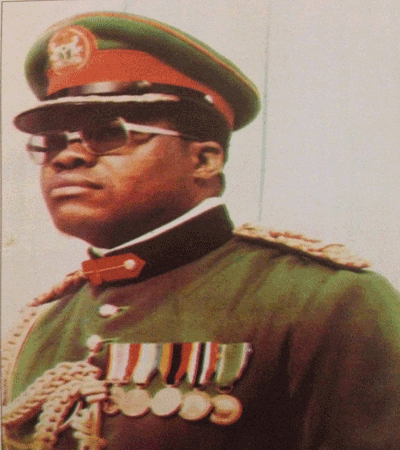 Brigadier David, Medaiyese Jemibewon was appointed the military Governor of Oyo State, while Wing Commander David Ikpeme (as he then was) and Lt. Col. Ayodele Balogun (as he then was) were named as military governors of the newly created Ondo and Ogun state respectively. 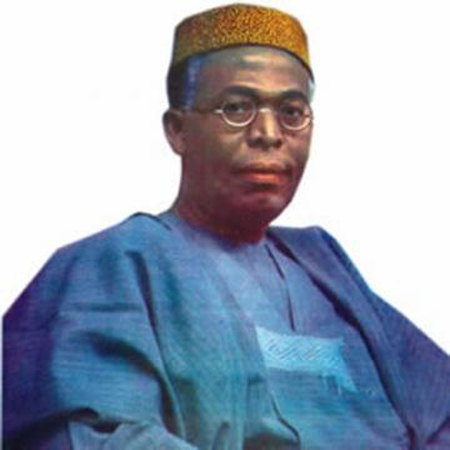 They were to assume duties in Ibadan which was to serve as their temporary base until they would move to Akure and Abeokuta. 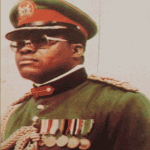 In order to ensure the smooth take-off of the new states and to adhere to the Federal Governments directive, a state implementation committee (SIC) comprising the three military governors and their secretaries to government and heads of service was established with Brigadier David Jemibewon as the chairman. 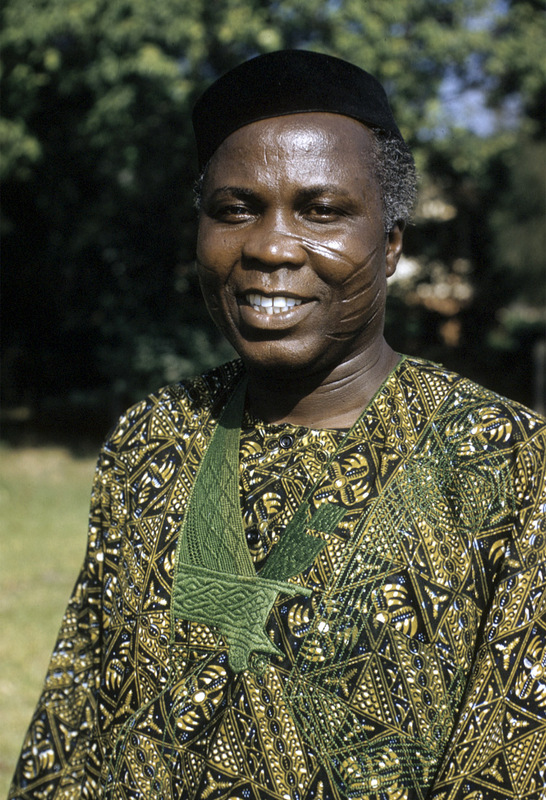 The first meeting of the committee was held in Ibadan on March 3, 1976. Between that date and April 1, 1976, when the states effectively took off, the committee deliberated on all matters affecting the three states. Broadly speaking, the committee’s duty was to ensure the smooth take off of the newly created states, the equitable distribution of personnel and assets of the former Western State since the Federal Government directed that new states should not, as far as practicable, maintain common services. It was the duty of the committee to arrange a painless distribution of all the organs of the former Western State. In all, the committee held nine meetings and considered a total of 135 memoranda before it was dissolved by the end of September 1976. As early as February 26, 1976, just about three weeks after the creation of the three states out of the old Western State, the State Implementation Committee had given a thought to the establishment of a holding company which was to take over the supervision and monitoring of sundry investments of the former Western State which were hitherto under the control of the Western State Industrial Investment and Credit Corporation. Such investments were over sixty (60) in number. The Economic Project Performance Unit, in collaboration with the Western State Industrial Investment and Credit Corporation, was given the duty of making necessary recommendation for the establishment of a holding company. The professional experts of the Economic Projects Performance Unit, after a careful consideration, recommended the establishment of a holding company which should consist of three departments, namely Investment Supervision, Consultancy and Finance and Administration and headed by a managing director. It was also recommended that the company’s board of directors be composed of 10 members made up of six government nominee part-time directors with each state nominating two part-time directors. At its fourth meeting held on March 24, 1976, the State Implementation Committee accepted the recommendations and also decided that the company be named Odu’a Investment Company Limited. The committee further approved that a financial provision of N7 million be made available to the company by the three state governments to cover initial administrative expenses and commitments already entered into by the Western State Industrial Investment and Credit Corporation and Ministry of Industries on the existing projects. Also, part of the fund was to be used to invest further in the subsidiary companies when desirable. The attorneys-general of the three states were directed by the committee to review carefully, the Joint Venture Agreement between the three state governments and the Memorandum and Articles of Association of the company which had already been prepared by the Ministry of Justice and the solicitor to the company respectively. At the committee’s seventh meeting, held on July 16, 1976, the military governors of the three states as well as the secretaries to the state military governments approved the documents establishing the company. At the same meeting, the committee also directed that the curricula vitae of five Nigerians who were considered to be eminently qualified for consideration for the post of the company’s managing director be called for. The committee had considered that the company would be an octopus, probably only second in size to the UAC Group of Companies. In the light of this, it was resolved that whoever was to be appointed as managing director of the company should be a man of proven ability and transparently honest, whose record of public probity should be impeccable. In fact, it was further believed that the investments going into the company constituted the live-wire of the three states and because of this, the company should be entrusted to a manging director who would be able to command public confidence. 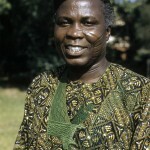 At this point, a member of the committee and secretary to the military government of Oyo State, Mr. C.S.O Akande (now late), who was about retiring from civil service, was requested to consider changing his plans and to accept the post of the Managing Director in the interest of the three states and as a service to the people. Mr. Akande, with reluctance, accepted the offer. The committee approved the list of director nominees submitted by the three state. These were Chief Kola Daisi and Professor Ayo Ogunseye the former Permanent Secretary, Ministry of Finance and Economic Development, Oyo State, and Mr. J.K. Akingbade, the Permanent Secretary, Ministry of Finance and Economic Development, Ondo State, and Professor Saburi Biobaku, the Permanent Secretary, Finance and Economic Development for Ogun State. For the first two years of the company’s existence, the board was to be chaired by Chief Kola Daisi, while later, the chairmanship would rotate among states. Most of the committee’s decisions were sound. With regard to fixed assets, it’s only right that each state should inherit whatever is located in its area of jurisdiction. No other sensible arrangement is possible. Odu’a Investment Company Limited was incorporated in July, 1976 to take over the business interest of the former Western State of Nigeria, now Oyo, Ogun, Ondo, Osun and Ekiti States of the Federal Republic of Nigeria. The company commenced business on the 1st of October, 1976. ODU’A INVESTMENT COMPANY LIMITED since inception, has been operating as a conglomerate with over 70% of her business as investment/joint ventures with reputable multinationals. Investments within the Group at its inception covered a wide spectrum of economic activities, viz; integrated textile mills, breweries, commercial banking, insurance business, real estates, livestock rearing, fisheries services, carbonated drinks, food and beverages industries, manufacturing in chemical and mechanical industries, hotel and catering, vehicle distribution, bottling and marketing of liquefied petroleum gases, printing and publication.